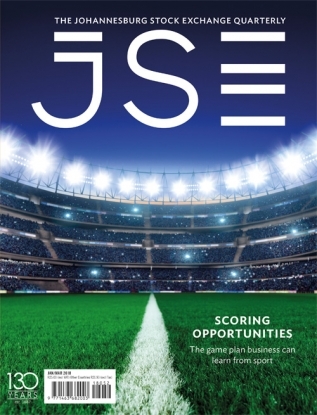 Indices, including the very well-known FTSE/JSE All Share Index, are critically important to market participants. 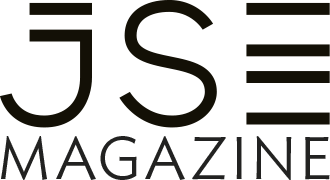 Mark Randall, Director of Information Services at the JSE, says that arguably, the central use of an index is as a performance benchmark. ‘This gives investors and analysts an independent barometer of market performance that they can then use to objectively measure their own investment performance,’ he says. ‘Indices are also commonly used to determine performance fees in the fund-management industry. 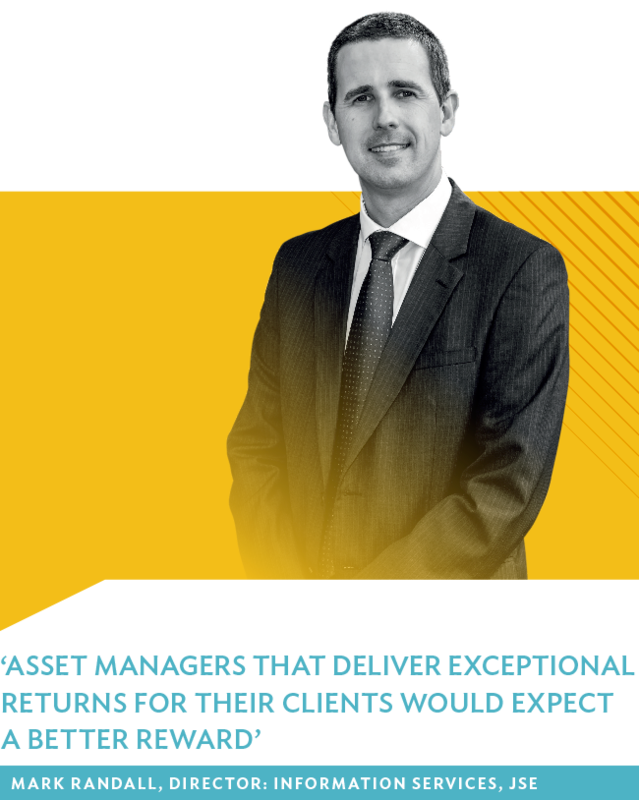 Randall explains that a broad market index – such as the FTSE/JSE All Share Index – is normally designed to capture the total performance of all investors in that market. ‘In other words, if the index delivers 10% return in a year, this normally means the total performance of all invested money – added together – in that market was 10%. Of course, this doesn’t mean all investors had a 10% return – some would have picked the right stocks or sectors and shot the lights out, while others would have made the wrong call and lost money,’ he says. 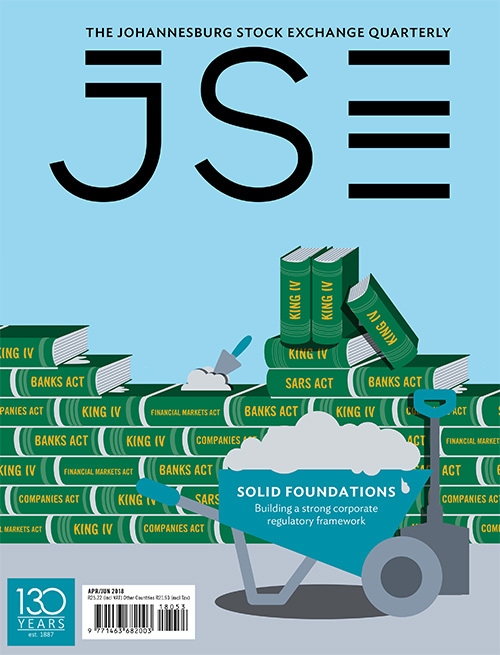 The JSE’s index partner, FTSE Russell, has a number of rules in its methodology to ensure the construction of indices maintains a balance of practicality and good academic practice. 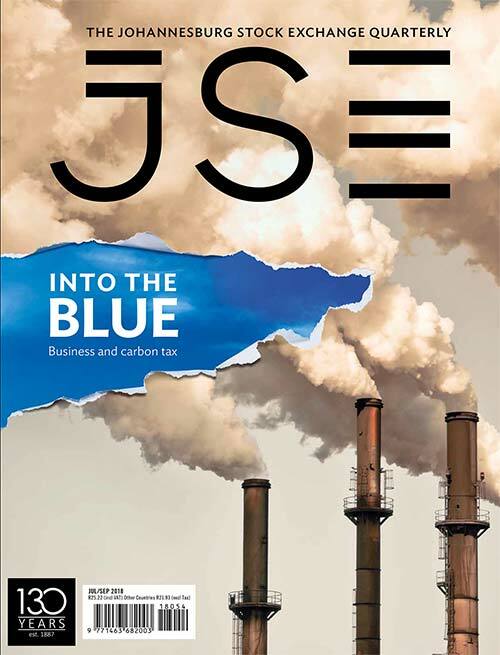 For instance, ‘the FTSE/JSE All Share Index includes 99% of JSE-listed companies by market capitalisation, thereby excluding a number of small so-called “microcap” stocks from the index selection. There are also rules that consider basic liquidity requirements and minimum free-float holdings in the market’, says Randall. 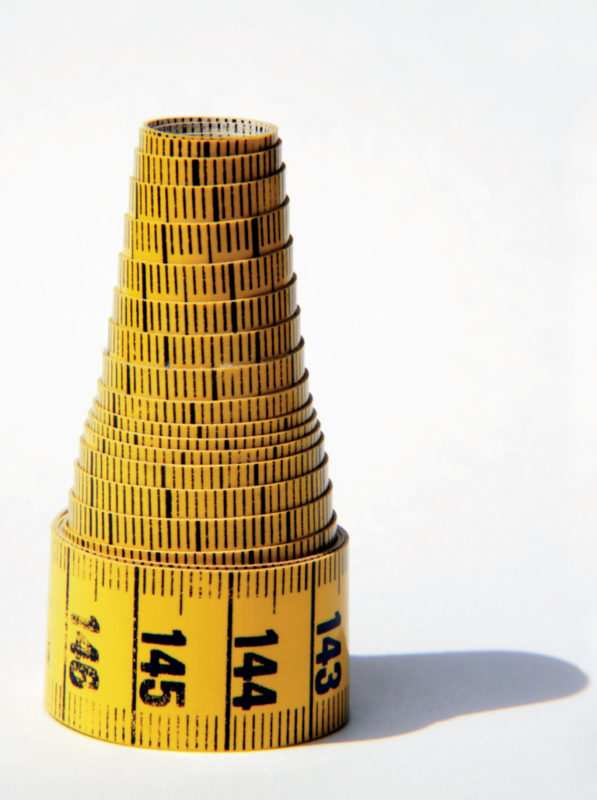 ‘It’s also important to understand the concept of market capitalisation weighting. In effect, the index is an average price of all the stocks included in it, but not all companies contribute the same level to that average. In fact, large companies have a larger weight in the index than smaller companies, which ties in with the concept of measuring the total performance of all investors. By definition, investors have double the total money invested – across the market – in a R20 billion company, for example, than they do in a R10 billion company. As a result the R20 billion company would have double the weight in the index than the R10 billion company,’ he says. ‘This is important because a 3% price movement in the R20 billion company would have a much more significant impact on total index performance as compared to a 3% price movement in the R10 billion company. In other words, double. ‘This concept can create some concerns where there is a single company that dominates the market in terms of relative size – market capitalisation. For example, Naspers has a weight in the All Share Index of around 18%, double the next largest stock weight of around 9%. 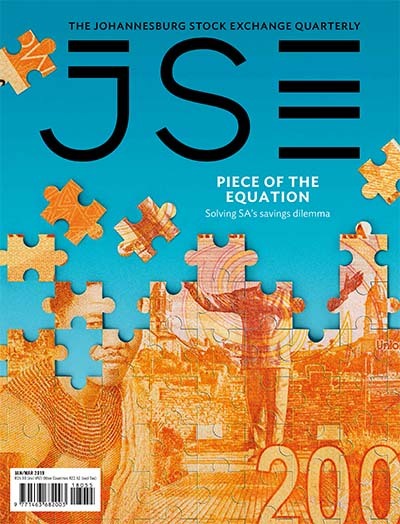 One solution to this is capping, and the JSE publishes a version of the All Share Index with a 10% cap. In effect, the weight of any individual company is capped at 10% of the total index on a quarterly basis.’ This generally aligns to the quarterly review where index constituents are updated and re-weighted. Ideally, according to Randall, there shouldn’t be a massive range of market indices, since it often makes sense for managers to be measured against the same yardstick. 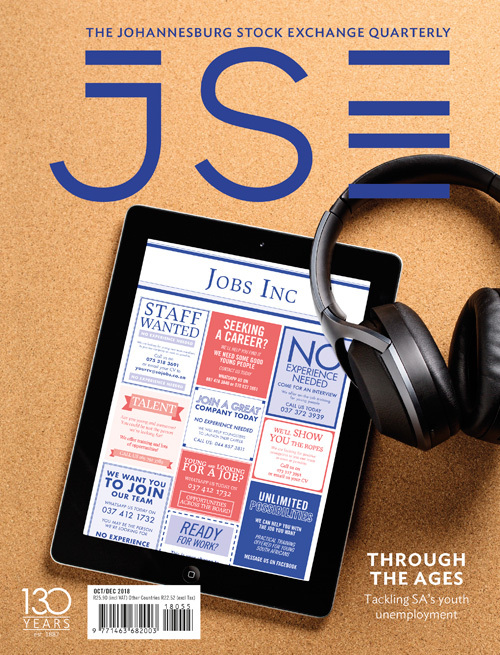 ‘The JSE currently publishes an All Share Index and a SWIX All Share Index, which differ slightly in the way that some dual-listed companies are treated. There are also capped versions of both indices.